You're sure to appreciate the smart look this Wisdom necklace from William Henry's Embrace collection presents. 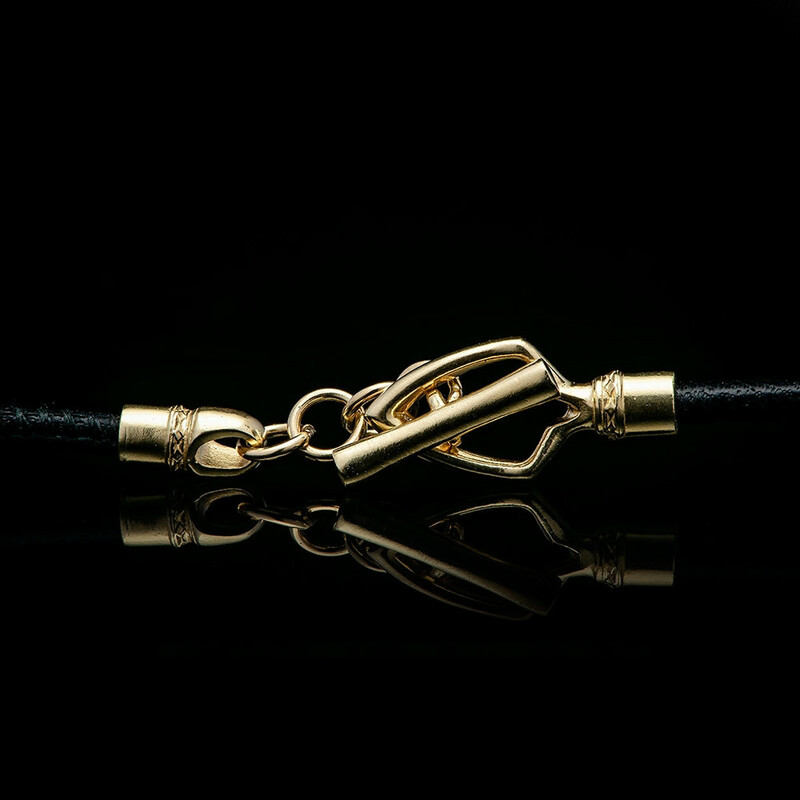 Its pendant, with a rare and beautiful South Sea pearl wrapped in 18K rose gold, has an integrated precious metal bail, through which a finely stitched leather cord threads, to close with a sterling silver arrow toggle clasp. This William Henry pendant necklace will start your style off on solid footing.